Journey, the short novel by Patricia MacLachlan, is a wonderful choice for whole-class reading. The story reads like a simple tale, but there is plenty of depth to it. Many sections of this novel would lend themselves to great class discussions. With an 11-year-old main character who comes to new understanding of his family with guidance from his wise, photo-taking grandfather, it’s a good novel to use to talk about characterization, too. And at well under 100 pages, it’s a good length for a first novel of the year. Pairing Journey with a personal narrative writing assignment would make a good combination reading/writing unit. 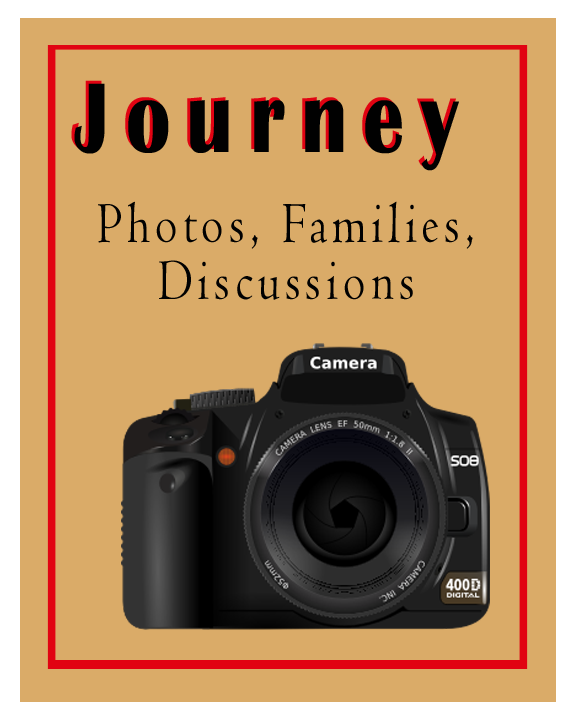 In the novel, photographs are Journey’s key to finally understanding the truth about his family. A good pre-writing activity to do at the same time the class is reading Journey might be for kids to assemble photos, or draw pictures, representing things about their own family that are important to them. Later, students could write about an event pictured in one of their own family photos or a personal characteristic that can be seen in the picture of one family-member. The pictures, posted alongside the students’ writing would make a great classroom display, especially for a time when parents will be coming into visit. If you’ve read Sarah Plain and Tall, the Newbery winning short novel by Patricia MacLachlan, you already know that you and your students are in for a wonderful read with Journey. Not only is Journey himself an engaging character, but the whole cast of characters – Grandpa,Grandma, Cat, and Journey – are like real people you would be glad for your students to meet and get to know. Journey is a positive and hopeful story in the best sense of the word.